The first look of Liu Yifei as Mulan. Production on Disney's Mulan, a live-action adaptation of the studio's 1998 animated feature, has begun. The film will shoot on locations in New Zealand and China and will open in Malaysian cinemas on March 26, 2020. Liu Yifei (The Forbidden Kingdom, Once Upon A Time) was cast as Hua Mulan following a year-long global casting search. Joining her in the film are martial arts superstar Donnie Yen (Ip Man, Rogue One: A Star Wars Story), iconic Chinese actress Gong Li (Memoirs Of A Geisha) and martial arts veteran Jet Li (Shaolin Temple, Lethal Weapon 4). The movie also stars Jason Scott Lee (Crouching Tiger, Hidden Dragon: Sword Of Destiny), Yoson An (The Meg), Utkarsh Ambudkar (Pitch Perfect), Ron Yuan (Marco Polo), Tzi Ma (Arrival), Rosalind Chao (Star Trek: Deep Space Nine), Cheng Pei-Pei (Crouching Tiger, Hidden Dragon); Nelson Lee and Chum Ehelepola. Mulan is directed by Niki Caro (Whale Rider) from a screenplay by Rick Jaffa & Amanda Silver (Jurassic World) and Elizabeth Martin & Lauren Hynek based on the narrative poem The Ballad of Mulan. 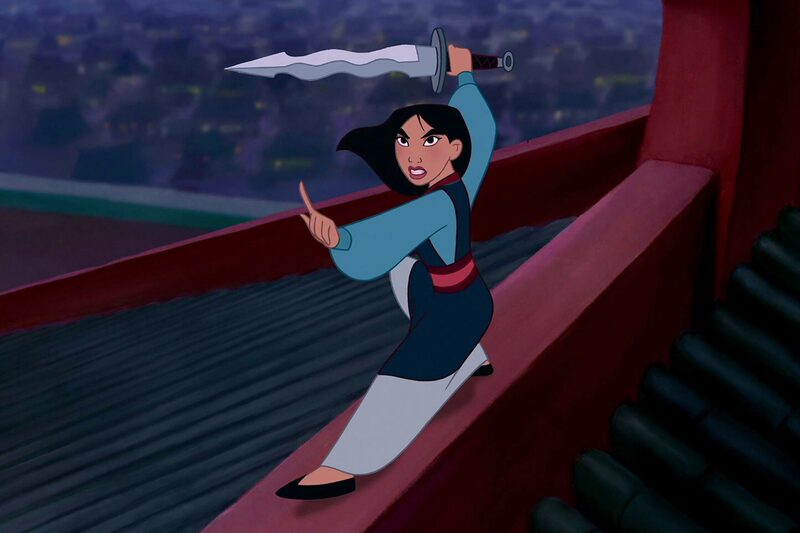 Mulan is based on the Chinese folk tale of a fearless young woman who masquerades as a man in order to fight Northern Invaders attacking China. The eldest daughter of an honoured warrior, Hua Mulan is spirited, determined and quick on her feet. When the Emperor issues a decree that one man per family must serve in the Imperial Army, she steps in to take the place of her ailing father as Hua Jun, becoming one of China's greatest warriors ever. Disney's 1998 animated feature featured the voices of Ming-Na Wen, Miguel Ferrer and Eddie Murphy and was nominated for an Oscar and two Golden Globe Awards.